The CAM-Workshop proceedings are now availble for download. Those are for participants only and log-in details have been sent to all registered participants. Please check your mailbox for those. for already the eighth time, it is my special pleasure inviting you to the upcoming CAM industry workshop on “Failure Analysis and Material Diagnostics of Electronics Components 2019” on behalf of the organization and program committee. 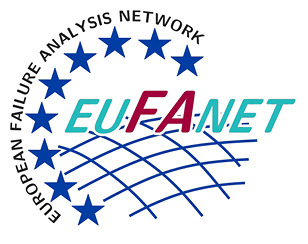 The event will traditionally take place in Halle (Saale), Germany, organized by Fraunhofer IMWS, Center of Applied Microstructure Diagnostics (CAM), in cooperation with the European EUFANET failure analysis network. Please mark April 10th and 11th 2019 in your calendar for meeting the international community in physical failure analysis in semiconductor and packaging technologies. As in the past, the workshop’s technical program will be selected by a program committee made up of experienced experts from leading semiconductor industry and research institutes. The program itself will feature keynotes on requirements on defect diagnostics methods and instrumentation that are currently arising due to the introduction of new semiconductor and packaging technologies, as well as of novel materials, into quality- and reliability-critical application fields. For the community gathering in Halle, it goes without saying that e.g. the rapidly increasing demands and needs in automotive electronics will define a particularly interesting research field. During the workshop, experts from electronics industry will share new results on detecting failures in electronic circuits, components, packages and subsystems; they will discuss how to analyze and understand the related material interactions; and as the final target, how to secure the quality and reliability properties of semiconductor components and systems. The workshop’s program will further be complemented by presentations of the latest achievements in newly developed innovative defect diagnostics methods, instrumentation and tools. Once again, the schedule of invited oral presentations will, in parallel, be accompanied by an industrial exhibition of failure analysis and material diagnostics equipment suppliers. It is particularly this concept of enabling a direct exchange between electronics failure analysis experts and diagnostics equipment manufacturers that formed the CAM workshop’s unique trade mark and allowed establishing the event itself as an internationally recognized meeting and business place for failure diagnostics in electronics. From the perspective of the organizing institution Fraunhofer IMWS, the 2019 CAM workshop will feature another specific highlight: It is our pleasure inviting you to celebrate the opening of our new CAM extension building for our partners and customers. And, of course, we will be very proud demonstrating the new cutting-edge diagnostics techniques during the lab tours at the end of the workshop, so please consider signing in. Looking forward to seeing you in Halle in April 2019.